Listen to a busy diggers go chug chug, hear the crane truck go beep beep and find out what truck goes rumble rumble in Noisy Peekaboo Digger. From rumbling rollers and drilling diggers to dump trucks, let your little one discover lots of exciting diggers and the noises they make! Toddlers can join in the fun and lift the flap on each page to reveal a truck or digger making a funny noise underneath! Colourful, bold pictures engage your toddler while the tactile pages are ideal for them to hold. Find five fantastic, light-activated sounds in DK's new noisy lift-the-flap book series. 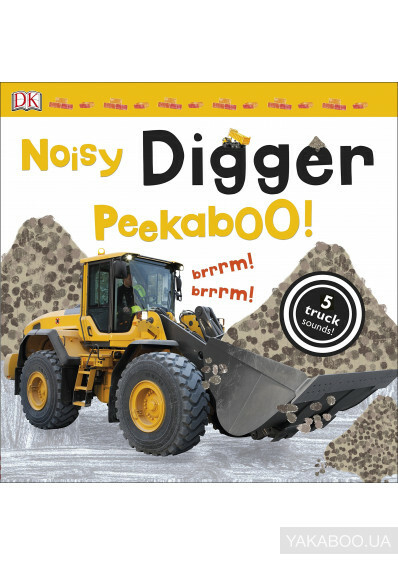 Все о книге Noisy Digger Peekaboo!